What happens when a man who is mentally ill and cannot take his medicine, either because it does not help or he thinks it does not help, instead turns toward a psychotic release through a beaver puppet? It is extremely curious how this plot line coincides with the theatrical production of Hand to God, and admittedly the play was much more penetrating than this stuttering and confused film which had potential only to see it languish. We are introduced with so many characters, strong ones at that, that are inter-woven with the lead protagonist who is flailing at a company he inherited, and yet the idiosyncrasies are infuriatingly displaced as the plot does not know exactly how to handle itself. From one moment to the next, at breakneck speed, the story progresses toward its central mechanisms of the sick man’s life being taken over by a self-propelled puppet. Yet the jumps are so raw we cannot affix ourselves emotionally to anything that is going on in the story. There is real emotional verve that is not allowed to breakthrough, simply because it was not allotted the time for it. This is a near-90 minute film that could have been made more serious and somber and sympathetic were it drawn out another 45 minutes; so the intricate gears that turn don’t feel like they are clumsily shifting. Most of the idiosyncrasies of the characters, for instance, remain unresolved. They actually do not drive the story whatsoever; they have no storyline logic for being put on the screen for a subject to absorb. Notably in cinema what is visualized is done for a reason, even if the filmmaker is uncertain of the reason of its being, he feels it is necessary to be. Most famously this is seen in the case of the rabbit in Donnie Darko. 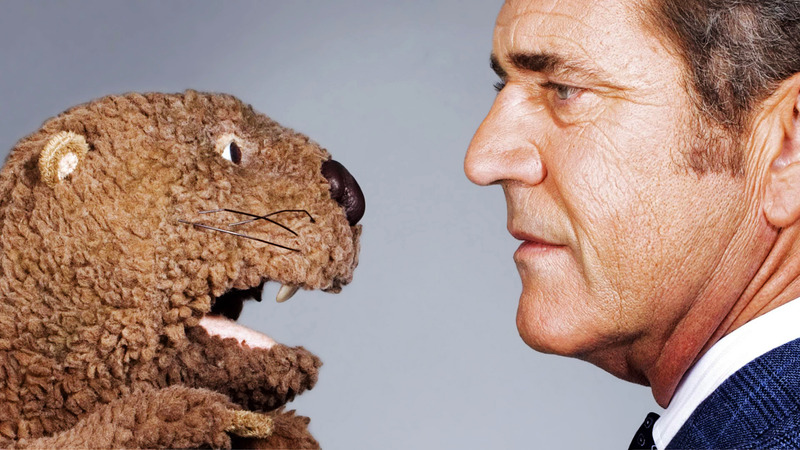 However, when a voice-over narration, as in the case of The Beaver, methodically introduces the setting, this creative license of ambiguity is forfeited – we are instructed on what is from the narrator, and with instruction comes communication which implicates rationale for the communication itself; otherwise, the entire purpose of narration loses its very function in a work of art, as any moment of it could be deemed rudderless; which defeats the very purpose of communication in itself – which, we can suppose has as its sufficient reason the conveyance of a truthful actuality of existence. Outside of the main plotline, every other development seems randomly strewn together, as if there was not enough substance to develop a story centered around the life of a sick man being taken over by his puppetry. Hand to God demonstrates very easily, in a side-by-side manner, the easy plausibility of sustaining the center of gravity of a plot around this. It was not necessary to have to throw in so many vegetables in the stew when the meat and potatoes would suffice. Instead, the center of the dish loses its flavor with each enervate chaotic distraction, and we are left with an utterly confused ending. The only silver lining is Mel Gibson’s performance.